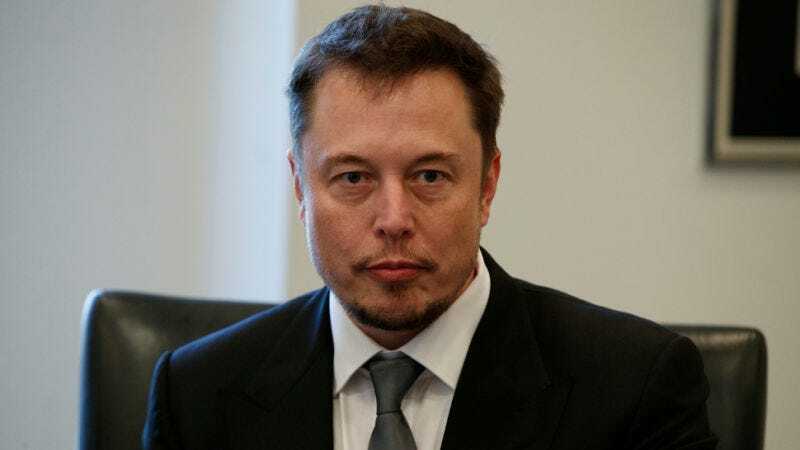 Tesla founder Elon Musk confirmed he’ll indeed step down from the president’s economic advisory council, after President Donald Trump announced on Thursday that the U.S. will withdraw from the Paris Climate Accords. This comes months after Trump regularly boasted of his contempt for fact-based science, and signaled from the outset of his campaign nearly two years ago that he’ll gladly take advantage of dupes. Here, to his dismay, Musk got duped. A Tesla spokesperson referred a request for comment to Elon’s terse statement on Twitter. All along, Musk played it up like it was ultimately for the “greater good” that he stay on and try to advise the president on the merits of the Paris climate deal. Despite the relentless stream of ugly policy that has poured out of the White House from the moment Trump took office in January, Musk wanted us to believe—or, hell, maybe he truly believed—that he could convince the powers that be that climate change is going to wreak havoc on the world for years to come, and that the mechanisms laid out in the Paris agreement were a nice hedge to maybe—just maybe—curb the potential for unleashing that hell. That he could talk some sense into a guy whose career is encapsulated by the phrase “shooting from the hip”—though I really don’t think that’s a just description for whatever the hell way it is that Trump thinks. Sorry, Elon. That didn’t work.